Open the boxes below to read the first couple of paragraphs of the Conclusion, use the Retrosuburban Real Estate Checklist, and explore one of the design examples. Imagine Christopher Alexander’s Community of 7000 (or so) with distinct Subcultural boundaries composed of Neighbourhoods of 500. Each neighbourhood would be partly defined by geography or history, with a limited number of streets entering the space helping to maintain a shared space that restricts through traffic. · Ten Extended family households of three generations with an average of seven residents including three children. · Ten owner-occupied family households with an average of two adults and three children, also Hosting WWOOFers and other volunteers, adding two part-time volunteers or guests. · An additional ten owner-occupied families of five acting as Household landlords with an average of two additional tenants each (mostly single parents with one child). · Fifteen older owner couples with no children who are Neighbourhood landlords, own an average of two rental properties (generally adjoining). 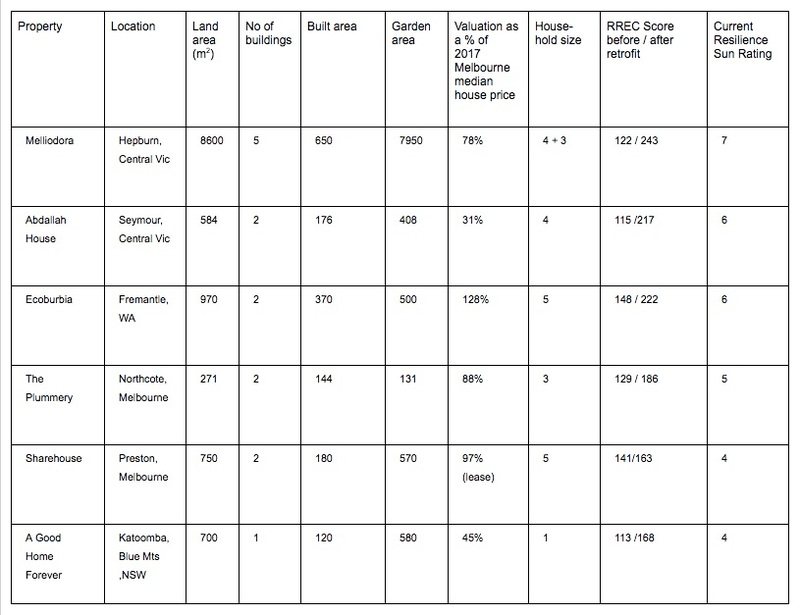 Those rental properties have a mix of families Renting in their preferred area with an average of two children, and Shared rental households with four adults and two children each. · Five houses have two couples Sharing house ownership with an average of four children between them. · Five houses are owned by elderly couples or singles with a Tenant turned carer. · The heart of the neighbourhood is a block of flats owned by a co-housing co-op with 20 apartments occupied by the co-op members. The average number in each apartment is four but Large communal spaces include a common room, catering kitchen, laundry and workshop to relieve any sense of crowding. There is a pellet furnace Combined Heat and Power (CHP) system in the basement carpark that also houses a mushroom-growing business. 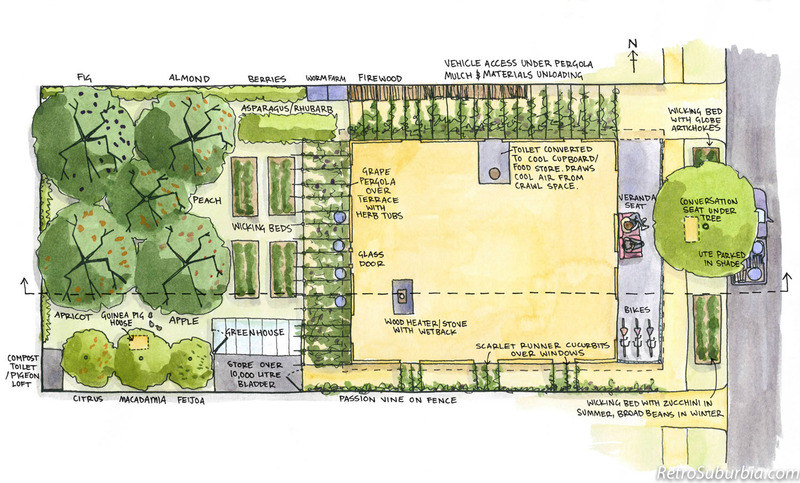 Permaculture and earth activist Starhawk’s 1993 novel The Fifth Sacred Thing, set in an energy descent future San Francisco, provides a vision of how such neighbourhoods, communities, and even cities, might work. You can use the patterns in this book in a great diversity of design contexts found across suburbia, but I’ve avoided presenting classic permaculture property designs. By their nature, or at least their documentation, property designs tend to pass over the critical importance of the behavioural domain. Individual circumstances, capacities and preferences will be critical in determining the success in the early stages of rolling out retrosuburbia. However, focusing the text on Melbourne and other Victorian towns has allowed me to be quite specific about design systems and even species to illustrate the patterns. 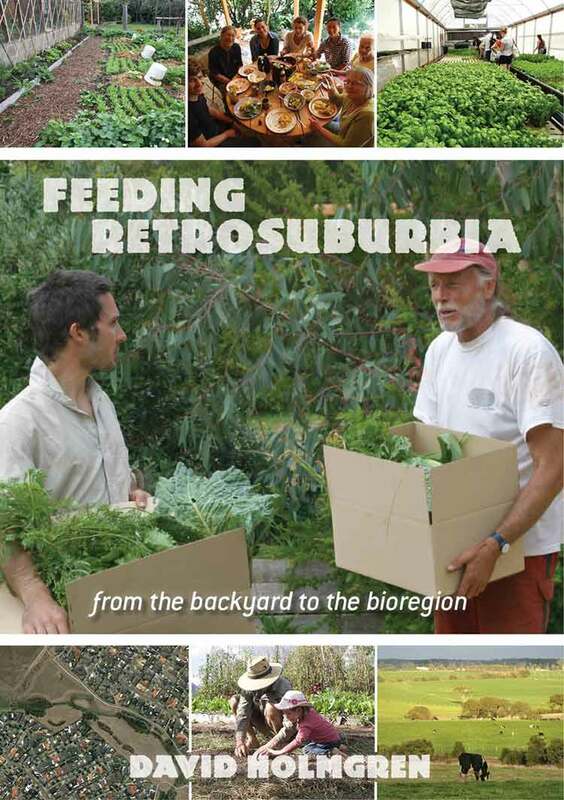 After many years break from any professional permaculture design work, especially at the backyard scale, one of the outcomes of writing this book was a burst of creative retrosuburban design thinking. The need to provide rough sketches for an illustrator seemed straightforward, and even without a specific property in mind, let alone clients, I found myself fitting patterns together in new ways. This rang alarm bells about the potential danger of readers taking these designs as blueprints for their own situations, as well as the problems with permaculture design through the assembly of elements (articulated by Dan Palmer in his critique of permaculture; see Retrofitting permaculture on page 30). 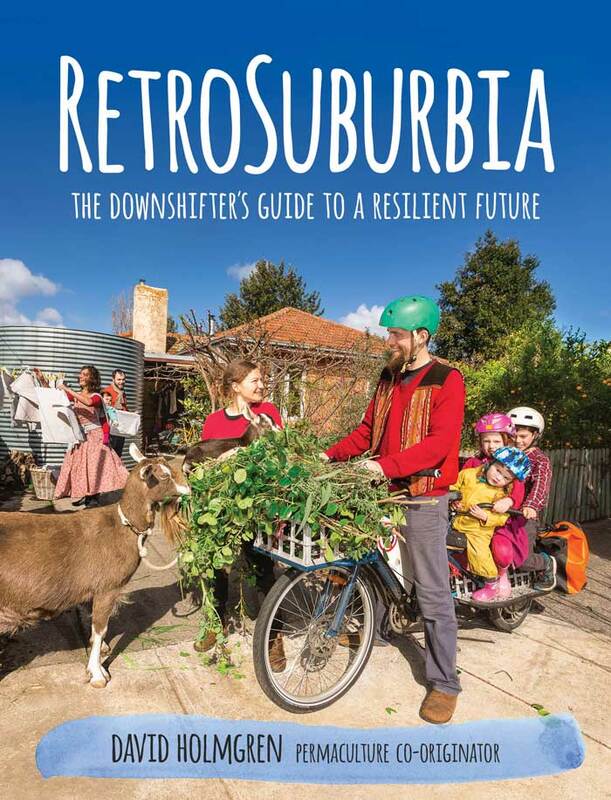 Nevertheless, it seemed appropriate to document some of these design outcomes of writing RetroSuburbia in an appendix to help stimulate and inspire readers to get cracking on their own design ideas, with or without the help of a professional designer or a Permaculture Design Course. The following notes for each design only provide the skeleton of the design logic behind each.